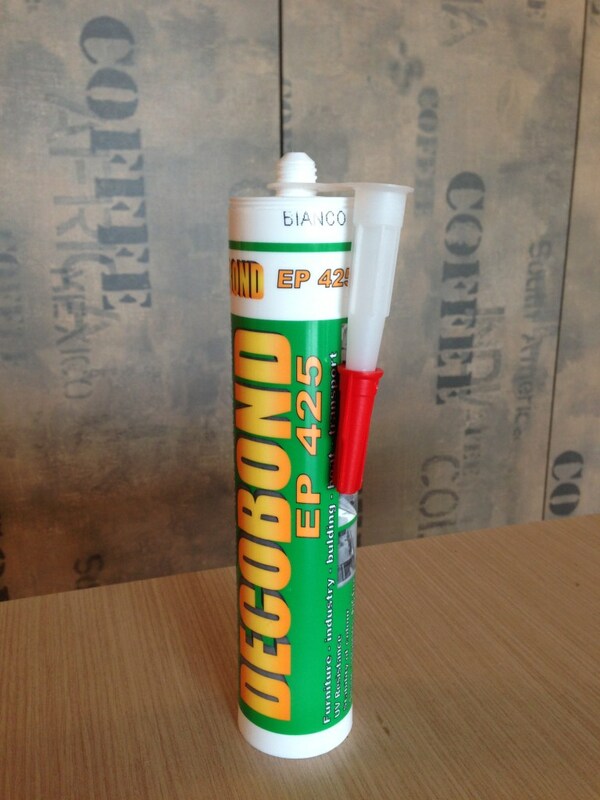 DECOBOND EP 425: our adhesive for bonding DECOSTONE. Our Decobond ensures a perfect bonding and it give incredible results. With its suction cup effect it is able to bond even the most delicate and difficult parts. Our line of dedicated coatings to seal DECOSTONE and to improve the surface strength. Our Decofix permits to waterproof and to protect the surface of our DECOSTONE without changing the wonderful visual effect of our real stone laminates, giving also a perfect cleanability. 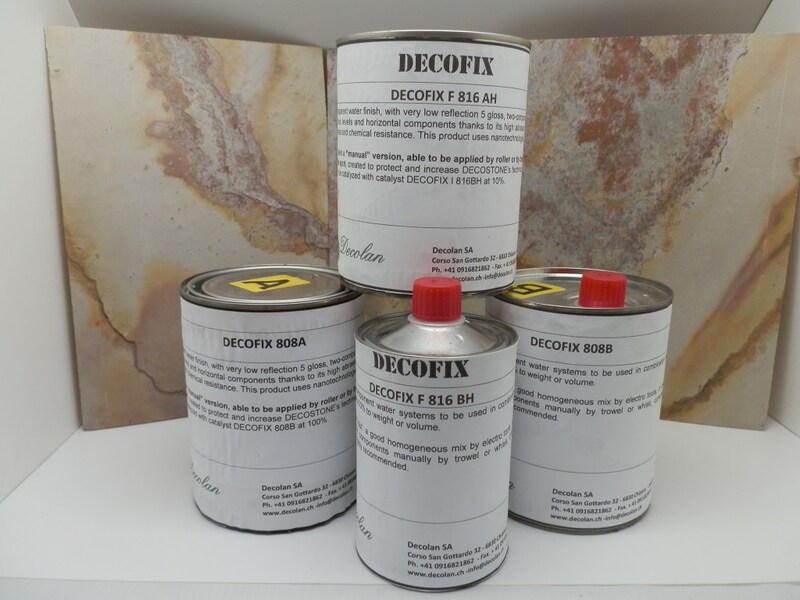 It must be always used as first hand in combination with DECOFIX 816 as second hand in applications where the products go in heavy contact with water. DECOFIX 816: gives the perfect finish and cleanability to the surface. It can be also be used without the combination with DECOFIX 808 where the products will not be in heavy contact with water. All products can be ordered through Dream Tiles when you choose your product and worked out by one of our advisors as to quantities needed.